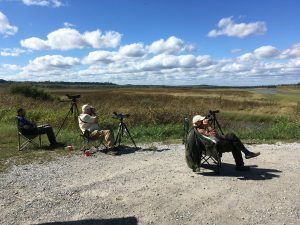 Columbia Audubon’s “Big Sit” – A New Tradition? 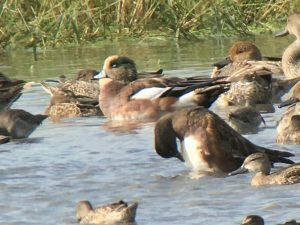 Even casual birdwatchers are familiar with traditional 24-hour birding events like the Christmas Bird Count and the May Big Day, but some may not be familiar with the birding event known as a “Big Sit”. 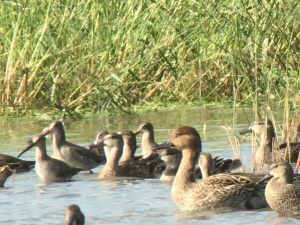 Basically, a Big Sit is a bird count that is anchored in a single location, from which one or many birders seek to see as many birds and bird species as possible in a 24-hour period. The idea originated with the New Haven (Connecticut) Audubon Society, and has recently been promoted by the magazine Bird Watchers Digest. 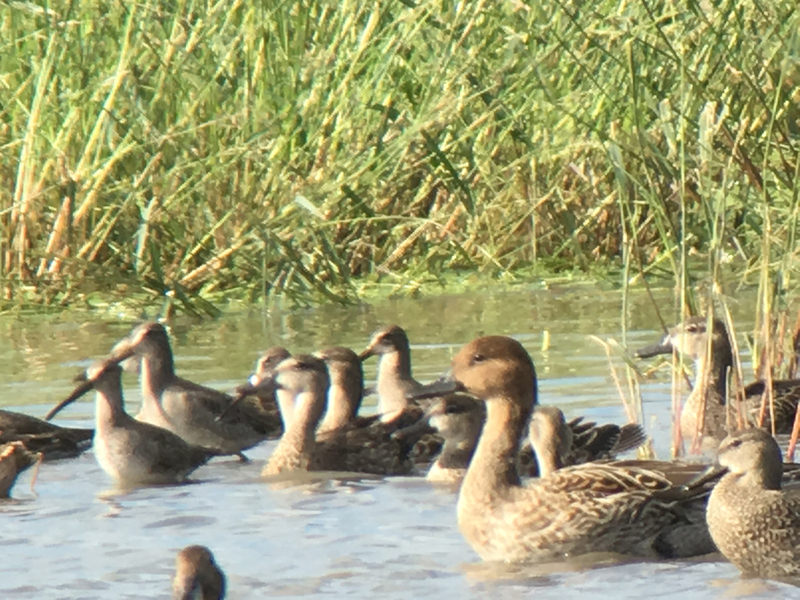 The most familiar example for Missouri birders is the event held each fall at Swan Lake National Wildlife Refuge, where members and friends of the Grand River Audubon Society bird from the observation deck near the refuge headquarters. This fall, Eric Wood and Brad Jacobs decided to start a Big Sit in Boone County, choosing the cul-de-sac at the end of the road in the Eagle Bluffs Conservation Area as their location. This spot overlooks the wetland habitats of pool 14, with the background of riparian forest along the Missouri River and the Bluffs along Perche Creek. On October 7 several eager birders, including Eric, Brad, and Paul Mackenzie (photo) arrived well before sunrise to listen for owls. They were joined for the morning by Lottie Bushman and Laura Pintel, and the group’s bird list was over 50 species by the time I arrived at 10 AM, just in time for an hour-long downpour associated with a passing cold front. Afterward, the winds shifted to the west and the event turned into a raptor watch, as raptors of all sizes started moving south along the Perche bluffs. These bluffs don’t have official names, so we resorted to calling them Bluff 1 (near McBaine) through Bluff 7 (near Providence access) to keep track of the parade of raptors. Edge Wade and Laura Hillman joined us for part of the show. The most spectacular part of the day was the sighting of large numbers of Peregrine Falcons. By 1 PM, the group had counted 16 Peregrines, and by the end of the day, the total had reached 18. Most of these birds moved steadily south along the bluffs, but several took a break from their journey south to buzz the hundreds of ducks and shorebirds in pool 14. It was thrilling to watch in these powerful birds pump their powerful wings to gain altitude, then stoop toward their prey at breathtaking speed! Our count of 18 Peregrines for the day easily surpassed the largest daily count for Missouri listed in eBird (6 birds, observed last April). We also saw large numbers of other migrating raptors, including Merlins, Northern Harriers, Cooper’s and Sharp-shinned Hawks, Broad-winged Hawks, Red-shouldered Hawks, Red-tailed Hawks, Ospreys, and Bald Eagles. As the hawk flight slowed later in the afternoon, we turned our attention to the water birds in sun-drenched Pool 14 and to the flights of pelicans and geese passing overhead.